Audits and criminal referrals are down sharply since Congress cut the tax agency’s budget and management changed priorities. Without enough staff, the IRS has slashed even basic functions. It has drastically pulled back from pursuing people who don’t bother filing their tax returns. New investigations of “nonfilers,” as they’re called, dropped from 2.4 million in 2011 to 362,000 last year. According to the inspector general for the IRS, the reduction results in at least $3 billion in lost revenue each year. Meanwhile, collections from people who do file but don’t pay have plummeted. Tax obligations expire after 10 years if the IRS doesn’t pursue them. Such expirations were relatively infrequent before the budget cuts began. In 2010, $482 million in tax debts lapsed. By 2017, according to internal IRS collection reports, that figure had risen to $8.3 billion, 17 times as much as in 2010. The IRS’ ability to investigate criminals has atrophied as well. Note: Reflects new taxpayer delinquency investigations opened each fiscal year. Note: The audit rate for taxpayers with income between $25,000 and $200,000 (the only group not included above) dropped from 0.81 percent in 2011 to 0.48 percent in 2017. The IRS has never been a popular cause on Capitol Hill. But Democrats and Republicans long shared a grudging consensus that the agency’s basic work of tax collection deserved protection. That changed when the Republican Party came into power in 1994 and Newt Gingrich became the speaker of the House. The new majority’s main priority was tax cuts, and vilifying the IRS helped its case. Some conservatives favored a “fair tax,” a consumption tax based on purchases. Proponents said that this simplified approach to taxation would allow them to “abolish” the IRS. The notion wasn’t a fringe position within the party. Former Sen. Richard Lugar of Indiana, a respected mainstream Republican, ran for president in 1996 on a platform of abolishing the IRS. A Republican congressman in 1998 introduced a bill to repeal the Internal Revenue Code by 2002. “Abolish the IRS” remains a potent talking point. Ted Cruz, the Republican senator from Texas, campaigned on the slogan when he ran for president in 2016. Congress followed the hearings with a sweeping overhaul of the agency, limiting the IRS’ collection powers and independence and giving taxpayers new protections. In the Senate, the reform bill passed 97–0, and President Bill Clinton signed it. By then it was too late. Reeling from the new law and the public attacks, IRS audits and collections tumbled to historic lows. Recovery took years, but because the IRS wasn’t a locus of partisan warfare during the presidency of George W. Bush, it did happen. By 2010, under the administration of Barack Obama, the IRS’ budget hit its high point: $14 billion in today’s dollars, about $2.5 billion above where it is today. Collections rebounded. But that spring, over unified Republican opposition, Democrats passed the Affordable Care Act. The sprawling health care bill was also, indirectly, a sprawling tax bill, since it relied on the IRS to help administer many of its provisions. Budget cuts have crippled the IRS, allowing tax cheats to run rampant. Listen to Jesse Eisinger on the “What Next” podcast from Slate. In the midterm elections that followed, Republicans took the House of Representatives in a wave similar to that of 1994. 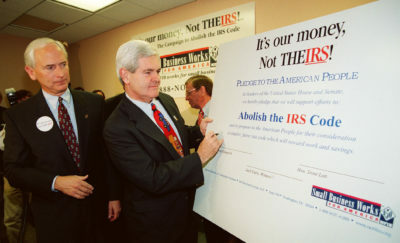 The first bill introduced by House Republicans in 2011 was a budget that slashed funding across the government and took special aim at the IRS. In addition to calling for a cut to its budget of $600 million, the bill prohibited the IRS from using any of its funding to carry out key parts of the Affordable Care Act. It didn’t pass. In 2013, the IRS’ bulwarks collapsed. First, as part of a budget deal with Obama’s administration, Republicans got what they had previously sought: a $600 million cut, which came on top of cuts in the previous two years. Then things got even worse. In May, an IRS inspector general reported that the agency had targeted right-leaning nonprofits for scrutiny, igniting what came to be known as the Lois Lerner scandal, named for the manager who had overseen the effort. Shortly thereafter, another report criticized the IRS for loose spending on its conferences. Republicans seized on both scandals, calling hearings and launching investigations. To head an agency that was now devastated by budget cuts and scandal, Obama appointed John Koskinen. 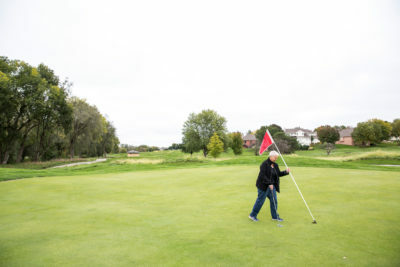 He was a turnaround specialist, a Mr. Fix-It who, at 74, emerged from retirement for one last job. Most recently, he’d led Freddie Mac after the mortgage giant was taken over by the government during the 2008 financial crisis. Fifteen years before, the Clinton White House tapped him to oversee preparations to avert the Y2K crisis. He was a Washington version of Winston Wolfe from “Pulp Fiction,” if Wolfe were unfailingly polite and liked working with large bureaucracies. 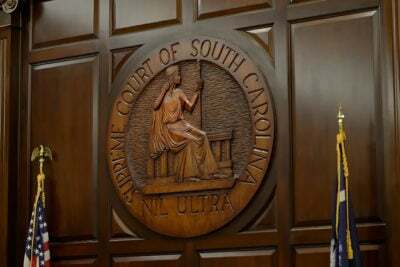 When that argument failed, Koskinen tried to ease the vitriol through a personal connection. In 2014, he contacted Hal Rogers, who was then the Republican chairman of the House Appropriations Committee. Koskinen had grown up in Ashland, Kentucky, not far from Rogers’ district. He requested a meeting, couldn’t get in and kept at it. After a few calls, he threatened Rogers’ staff that he would come and sit in their offices until Rogers met with him. They capitulated. When Koskinen and Rogers finally sat down together, sure enough, they knew folks in common. One of Koskinen’s good friends had gone to college with Rogers. The two had a friendly meeting. The next time Koskinen went to the Hill to testify, Rogers welcomed him warmly: “It is always good to see someone with strong Kentucky roots in the hearing room, particularly during basketball season.” He added, “I think much of you personally, Mr. Commissioner.” Then Rogers launched into a litany of criticisms: The IRS was trying to implement the Affordable Care Act against Congress’ wishes; it was spending too much, wasting too much, resisting reforms and letting the poor commit too much fraud. By that time, the Republican narrative had taken hold: The IRS had to be “held accountable” for wasting millions on lavish conferences and persecuting conservative nonprofits for their political beliefs. These charges ignored inconvenient facts. The IRS conference spending had already plummeted, from $38 million in 2010 to $5 million in 2012 — before the Republicans first criticized the agency for overspending. And inspector general reports later pointed out that the IRS division that oversaw tax-exempt organizations had also targeted progressive groups and concluded that the IRS had taken prompt action to address the previously identified problems in the nonprofit unit. Nevertheless, the scandals provided the rationale for ongoing budget cuts. The IRS lacked the “moral authority” to appeal for a budget increase, said Republican Rep. Paul Ryan, then the chair of the House Budget Committee, in 2013. The sudden cut meant that the IRS couldn’t hire enough seasonal employees to answer taxpayer questions. As a result, almost two-thirds of the tens of millions of taxpayer calls would go unanswered that year. Koskinen was outspoken about the cause of the poor service. He liked to counter the constant urging to do “more with less” with a dose of realism. In fact, he said, the IRS would do “less with less”: answer fewer calls and do fewer audits. 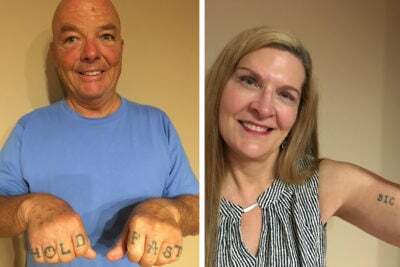 It’s a decision that everyone who works at the IRS has to make: How will you respond when someone asks, “So what do you do?” Answer forthrightly, and you’re bound to be met with either iciness or open hostility. 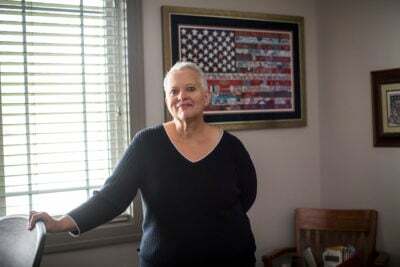 Over her 30-year career, Pam Reicks, the former IRS manager, adopted a solution that’s common for IRS lifers. “I work for the government,” she’d say. Not that she was the least bit embarrassed by what she did. She was proud to play a role in making sure that the tax system was fair and that the rich paid their share. 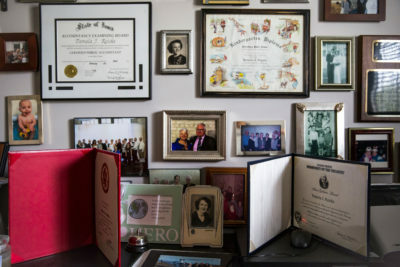 The walls of her home office are covered with family pictures, awards from the IRS and an American flag. Get her started on the topic of auditing, and her large eyes will grow wide as she excitedly tells you why it’s such tricky, interesting detective work. When Reicks joined the IRS in 1987, she saw it as an exciting way to expand her world. Born and raised in Red Cloud, Nebraska (population 1,000), she was curious and eager to learn. She began her career in Waterloo, Iowa, first auditing individuals and then working her way up to businesses. She preferred auditing businesses, because poring over the books of companies taught her how they really worked. By 2011, she had shifted to a new job, one that offered plenty to satisfy her curiosity. At the time, the IRS was cracking down on Americans hiding money in tax havens. The Justice Department, with the help of whistleblowers, had pierced the veil of secrecy that shielded Switzerland’s bank accounts. Banks sent lists showing thousands of account holders — many of them probable tax cheats — to U.S. authorities. But the scope of the problem was too big. The IRS simply couldn’t audit everybody who had an offshore account. One solution was to allow people to turn themselves in. 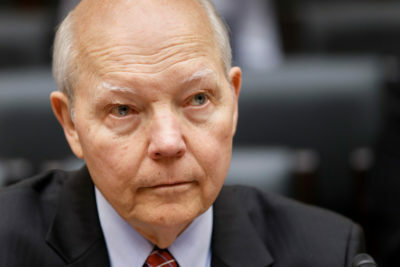 The IRS launched programs that offered reduced penalties to those who came forward voluntarily, before an audit was opened. Tens of thousands did. But, of course, an unknown number of tax dodgers did not. Reicks’ new job, as a senior manager in the offshore program, was to help the IRS figure out how many of those people it could audit. Auditing taxpayers with accounts in tax havens is hard. Revenue agents have to investigate the scope of any cheating and figure out whether it was intentional. Tracking down the necessary documents from foreign countries can add frustrating delays. The average time to complete an offshore audit, Reicks remembered, was close to three years. The budget cuts meant agents had to trudge through these jungles without a map. Not only were there fewer agents every year to do these audits, but many of the ones who remained were less experienced. Training and travel budgets had been slashed along with everything else. The agents conducting these audits were scattered across the country, as was Reicks’ team of 11 experts, who were supposed to guide them. In-person training became a rare luxury. Instead, most instruction was done online: PowerPoint slides appeared on a screen while someone talked. “But this stuff is so complicated that without somebody sitting in front of you, you don’t know if they’re getting what you’re saying,” Reicks said. The entire IRS has seen a similar shift. As a result, training has become less effective, IRS employees told ProPublica, and the thoroughness of audits has diminished. It’s also made the IRS a worse place to work. As time went on, Reicks said, the IRS was able to undertake fewer and fewer audits of offshore accounts. Given a list of American accounts in a tax haven, the IRS would often be able to audit only 10 to 15 percent of them, she remembered. That meant the agency was not able to adequately pursue tens of thousands of people who had kept their bank accounts secret from the U.S. government. In 2015, shortly after congressional Republicans forced the sudden $350 million cut that so upset Koskinen, Reicks began a new stage of her career. To prepare its managers for possible elevation to the executive level, the IRS puts them in temporary assignments. Over the course of a couple years, Reicks would get a different job every three to six months. But while the type of work changed at each assignment, the basic problem she faced did not: There weren’t enough people to do the work. Her final assignment put her in charge of exam activities at two of the IRS’ “campuses” in the Northeast. At the campuses, in row upon row of cubicles, thousands of tax examiners and customer service reps review correspondence and answer phone calls from taxpayers. Lacking staff, the IRS has shrunk programs — even those that brought in billions. One such casualty: pursuing taxpayers who do not bother to file tax returns. Tracking those people and businesses down, determining what they owe and then reviewing what they submit in response is time-consuming. “Why generate new work when we don’t have the resources to do the work we have right now?” asked Shantelle Kitchen-Nelson, who managed a collections campus in Philadelphia in 2017 and recently retired. Note: Counts the annual sum of debts each year that exceed the statutory limit for IRS collection (adjusted for inflation). As Reicks toured different parts of the IRS, she was impressed by her colleagues. But she was working 80-hour weeks, often advising on offshore issues in addition to her current assignment, and living for chunks of time in hotels. On top of all that, her mother and brother had died in the same month. She decided not to put herself up for promotion and moved back to Nebraska, to live in Omaha, near her sister. She returned to her old job of supervising offshore audits full time. But by then, in 2017, things had grown noticeably worse. Reicks looked forward to the end of the year, when she’d reach 30 years of service and be eligible to retire with full retirement benefits. She’d always thought she’d stay longer than that. But she realized that she couldn’t. “I got tired,” she said. It’s unclear when — or whether — Congress might begin to reinvest in the IRS. The best that can be said is that it’s been a few years since the last deep cut. In 2015, when the IRS ability to answer taxpayer phone calls hit a low point, the budget discussions on Capitol Hill took a turn. Republicans agreed to boost the agency’s funding — but only part of it. The “taxpayer services” portion, which goes toward hiring seasonal employees to answer the phones, got bumped up. The “enforcement” portion of the budget continued to be pared: Today, adjusting for inflation, it’s $1.5 billion lower than it was in 2010, a decrease of 23 percent. This year, Republicans again selectively increased IRS funding. The massive new tax cut law has dumped loads of extra work on the IRS, which now has to write rules interpreting the legislation, reprogram aged computer systems and retrain its employees. Republicans understand that if the IRS fails to roll out their tax overhaul well, they might feel the political consequences. To help the agency cope, Congress handed it an extra $320 million, with the instruction that the money be used solely to implement the new law. The budget for 2019 is likely to be more of the same. When asked whether lawmakers might eventually provide increased funds to hire auditors and collectors, Republican Hill staffers told ProPublica that the members of Congress they work for will follow the lead of the new IRS commissioner, Charles Rettig. If Rettig, who was confirmed in September, asks for more money for the 2020 budget, Congress might support it, they said. Rettig, a tax lawyer with decades of experience defending wealthy clients against the IRS, has been publicly noncommittal so far. Pressed by Democratic senators at his confirmation hearing, all he would say was that “one of [his] top priorities would be to analyze the budget.” This was a stark contrast to Koskinen’s outspoken advocacy. In the meantime, the IRS continues to shrink. Annual revenue from audits is down by about $10 billion, adjusted for inflation, since 2010, and billions more have been lost by not pursuing nonfilers and other sources of unpaid tax debts. 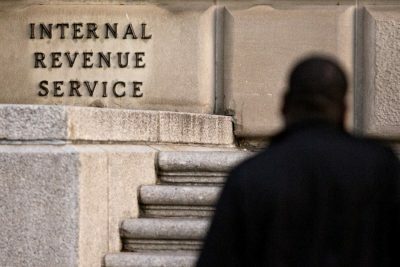 If the IRS had maintained a level of enforcement similar to that of the years from 2004 to 2010, it would have collected about $18 billion more than it did last year, ProPublica estimates. The total shortfall since 2011 has been about $95 billion. Note: Includes enforcement revenue from both examinations and appeals. 2017 dollars. The true cost is likely much larger, since IRS enforcement has a magnifying effect. People who undergo audits are less likely to evade taxes in the future, just as nonfilers who are caught are more likely to file voluntarily, studies have shown. Take away enforcement, and evaders are emboldened and grow in number. But the increase in receipts is misleading. During that period, for example, the top marginal tax rate went up, so the richest taxpayers were paying more. More important, in 2011, Americans had deep losses from the 2008 financial crisis that were still depressing tax obligations. In the following years, receipts outpaced economic growth, a typical phenomenon during recoveries. Still, that increase was weaker than government analysts expected. Even before last year’s tax cuts, tax receipts as a percentage of GDP never reached the levels of the late 1990s or mid-2000s. It will be years before we know whether tax cheating has in fact increased. The last IRS report to assess what it calls the “tax gap,” issued in 2016, analyzed the period from 2008 to 2010. It found that taxpayers had paid about 82 percent of the taxes they truly owed. If the rate of compliance in 2017 was the same, that would translate to $667 billion in missing taxes.